Pressed steel swivel castor with top plate fixing fitted with a grey rubber tyre on black polypropylene centre with roller bearing. Wheel diameter 100mm, tread width 30mm, overall height 128mm, plate size 105mm x 85mm, hole centres 80mm x 60mm. Load capacity 70kg. Pressed steel fixed castor with top plate fixing fitted with a grey rubber tyre on black polypropylene centre wheel with roller bearing. 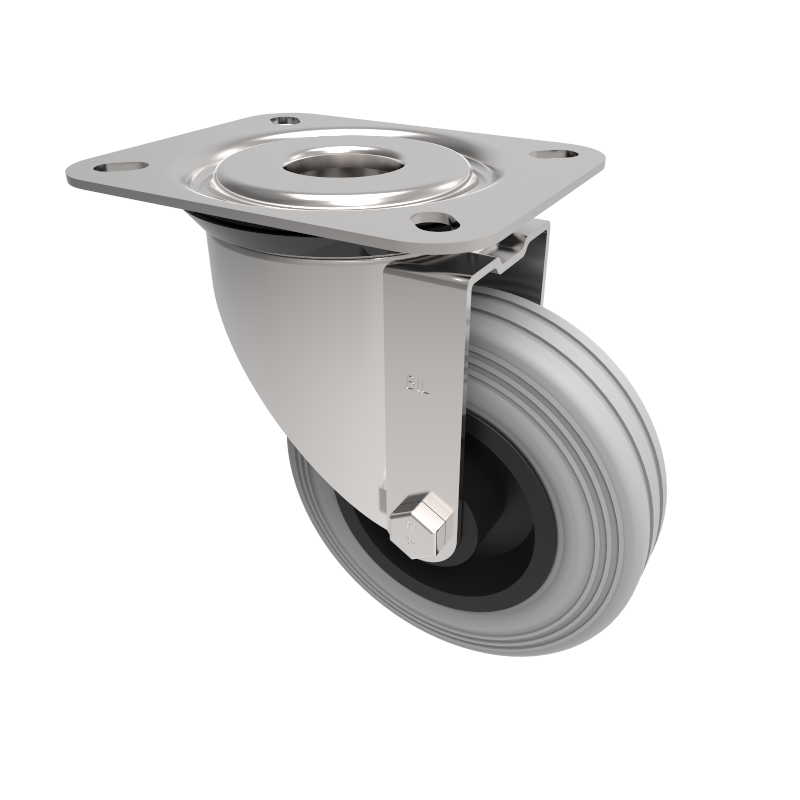 Wheel diameter 100mm, tread width 30mm, overall height 128mm, plate size 105mm x 85mm, hole centres 80mm x 60mm. Load capacity 70kg. 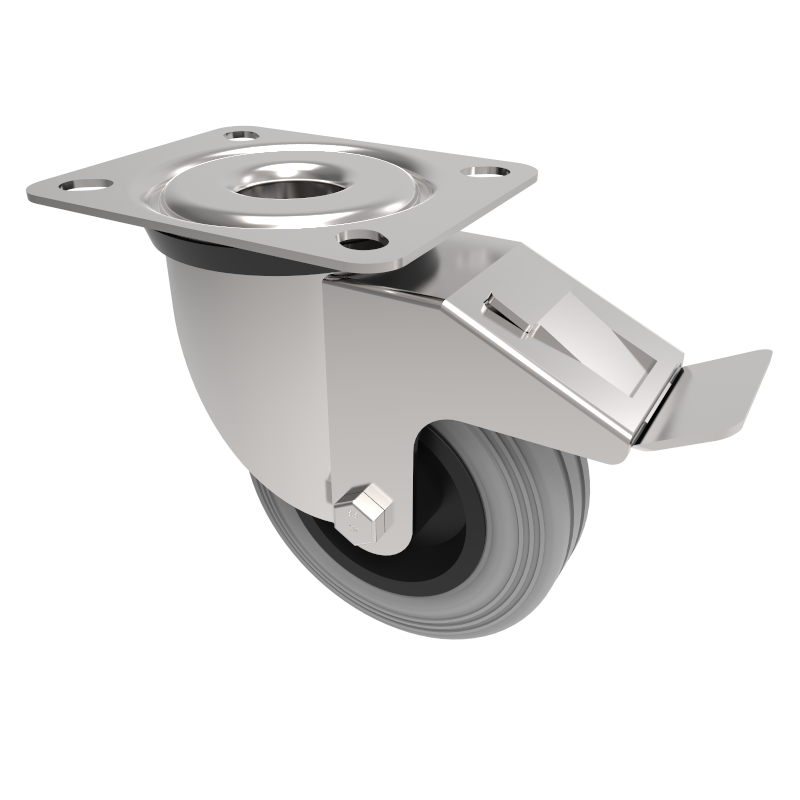 Pressed steel swivel castor with top plate fixing fitted with grey rubber tyre on black polypropylene centre wheel with roller bearing and swivel wheel brake. 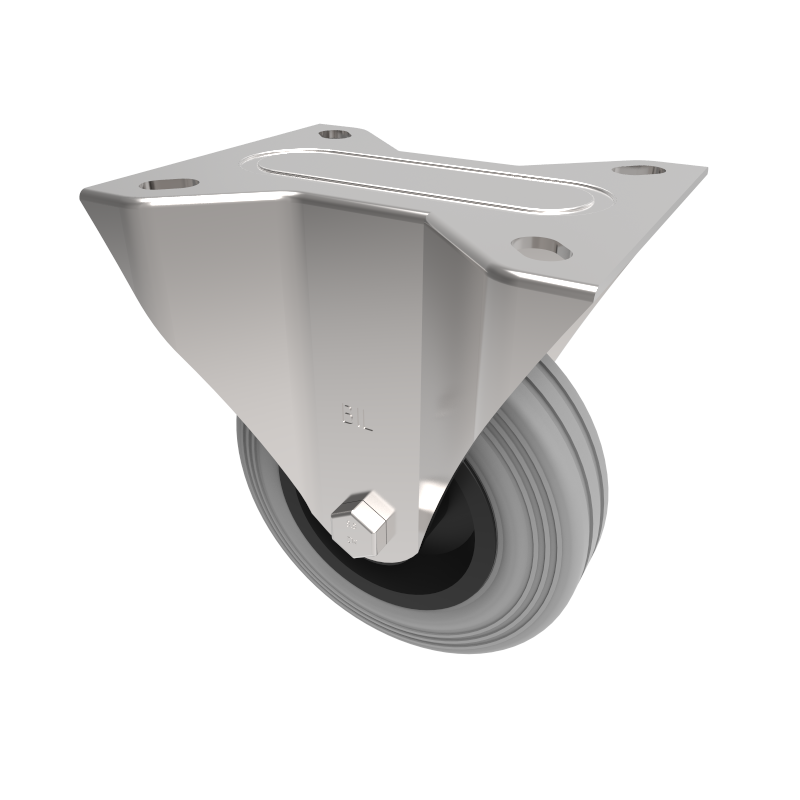 Wheel diameter 100mm, tread width 30mm, overall height 128mm, plate size 105mm x 85mm, hole centres 80mm x 60mm. Load capacity 70kg.